R S Murthy the director of Panna tiger reserve informed that the big cats are now flourishing in these forests. There are seven cubs and five adult tigers here including 4 females and one male. “The tiger reserve has seven cubs and five adult tigers in its wild after the launch of an experiment involving breeding of translocated wild cats and rehabilitation of orphaned cubs,” said Murthy. Of the two cubs born to T-1, a translocated tigress, one has been recently radio collared for enabling monitoring. This cub, 21-month-old, has been tagged as Panna-111. “We are trying to radio-collar the other cub of T-1. Both cubs will be released into the wild shortly. Tagging will facilitate monitoring,” informed Murthy..
Big cats had been translocated from Kanha, Bandhavgarh and Pench national parks after Panna became devoid of tigers. So far, two felines have given birth to cubs boosting the efforts to revive tiger population. 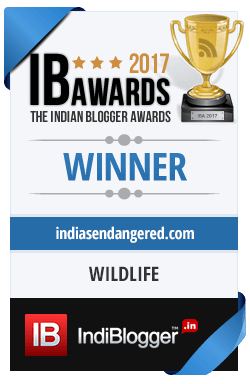 Panna tiger reserve is very close to India’s only diamond mines and the director feels that the threat of mining and poaching still exists for the flourishing population of the national animal. Even after the pervious debacle, things have not really changed in the surrounds of the tiger reserve. A major hindrance is that there is no crucial and mandatory buffer zone around the reserve. The declaration of the buffer zone, which is mandatory for a tiger reserve under the Wildlife Protection Act, 1972 (amended in 2006), is being delayed by the Madhya Pradesh government under pressure from a strong mining mafia, according to official sources. A buffer zone around a protected area is where human interference is allowed only to a certain extent unlike the core area where only the protected animals exist. The reserve lies in a sensitive zone, close to diamond mines and despite that the buffer zone has not been declared. “The tiger cubs introduced in the reserve earlier are now growing up and frequently try to move out of the reserve. 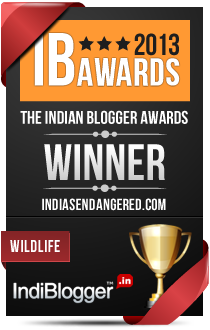 This makes them vulnerable to traps set up by poachers,” says Murthy. “Only recently, a tiger cub and a couple of Hyenas were caught in traps set by poachers. Last year, we saved a leopard from such a trap and sent it to the Van Vihar National park in Bhopal. But the park management alone cannot stop such incidents always and therefore the buffer zone is crucial in order to save the Panna tigers,” he adds. While unobstructed poaching spelled a doom for the tigers in this reserve in 2009, this time illegal mining too is a cause of worry. Mining of sandstone and flagstone goes on unabated here. The locals find various means to mine beyond allotted areas. Through improper use of the pit pass, extracting more than the sanctioned quantity and digging mines in protected and reserved forest areas the jungles are continued to be looted right in front of the officials. The mining lobbies are so strong and involve such big league names, that the declaration of buffer zone and other strong regulatory measures are automatically being delayed. In the last count of tigers in India, Madhya Pradesh lost its tiger state tag to Karnataka as there were only 257 tigers found here compared to Karnataka’s 300. The Panna tragedy was a big jolt to the complete conservation strategy of India baring naked the truth that what really prospered in protected areas was greed and not wildlife. The forest officials and conservationists are trying what they can to revive the population of tigers here and in India. But will they really succeed if those with more power use it to destroy the habitat instead of nurturing it for the future? Till human empathy wins the war, the seven tiger cubs of Panna need to start learning how to survive amidst these human predators.